My original plan to get back into sewing was to make stuff for me. Well, that hasn’t happened. At all. 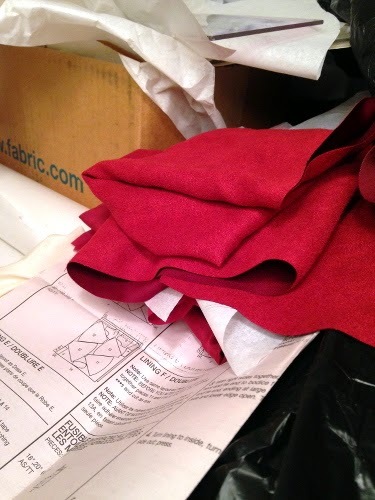 I’m knee deep in Project Dirndl, I’ve had at least 8 skating costume orders already, and the project that got me back in the sewing room was making a dress for my sister. Yes, even the first thing I sewed after my post-nationals melt-down wasn’t for me. My sister is required to attend many art gallery openings as part of her job, and she was getting a bit bored wearing the same black dress. However, it seems that artists who’ve had a bit too much red wine are not exactly the crowd in which you want to be wearing pastels. She was actually wishing she could wear the brown and white floral dress I’d made for her several years ago, but really, really didn’t want to get stains on it. So I agreed to wrestle with 8 more yards of fabric to make her another version. 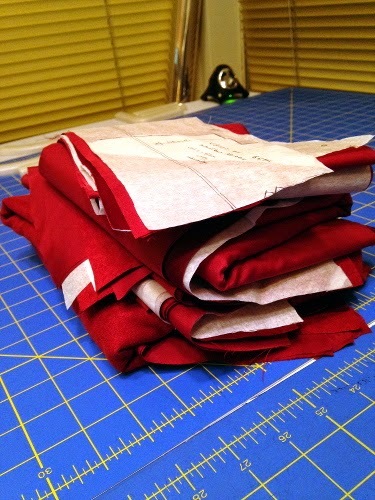 8 yards of fabric… doesn’t look too bad all cut up, right? 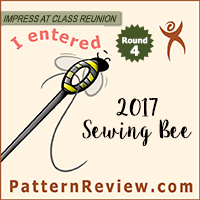 My original pattern review can be read here. I used the same pattern as before, without any changes. I think I will need to reduce the size of the shoulder seams by a bit for future variations, as the top was a bit larger than I remember. Of course, this fabric seemed to stretch out of shape like there was no tomorrow. The dress was constructed from a poly suede on the outside and poly lining on the inside. 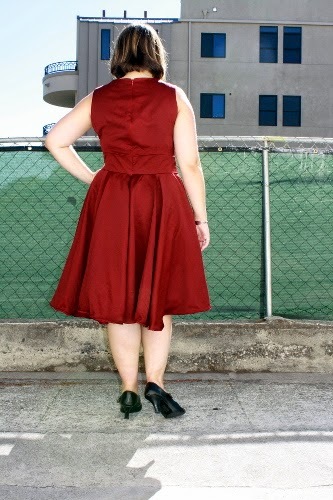 I, of course, used the “wrong” side of the suede to make the dress. My sister fell in love with the color, and we couldn’t find anything else of a suitable weight and drape, so we decided to go with it. And I wants to use the wrong side of this poly suede. Well, turns out this fabric does what it wants too. Especially on the bias. I don’t think I’ve ever had a hem stretch out quite this much on the bias before. Like, ever. Like, never ever. In fact, I think it is still stretching out. I might consider re-hemming it someday if it looks like it has stopped growing. 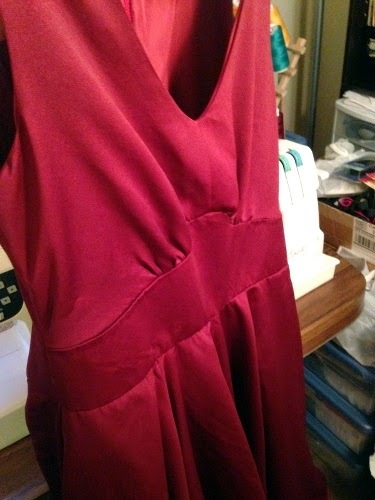 But, then again, considering that hemming the dress and the lining took me over two hours, maybe I won’t. Also, because I made the dress in one night was somewhat rushed during the construction phase, the lining is something of a mess. Which I’m not showing you. Because, as I’ve told my sister, looking too closely at the lining is punishable by death. Just, you know, FYI. I was being a terrible tease before delivering the dress to my sister. Also – look at that neck opening! Perfectly pointed. Ta-da! It’s a dress with pockets! Here you can see the incredible growing hem. Luckily, it’s still on trend, so it almost looks intentional. they have since been remedied by adjusting the shoulders. I’m going to blame this on the crazy growing fabric as well. A red dress to wear to an event full of red wine! Is this my proudest make ever? No. Was it as good as the original? Probably not. Will either of us cry if when red wine gets all over it? Maybe a little, but not nearly so much as we would have if it had gotten onto the original brown and white version. But it got the job done so I’m going to call it mission accomplished. Oh, and it got compliments up the whazoo, or so I’m told. So, um, there’s that. 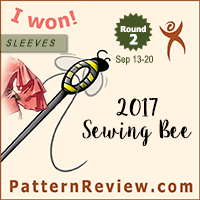 But, anyway, yay, sewing! 8 yards?! Holy cow! Looks great! What a beautiful dress! I love the colour on your sister. No one is going to fret over the hem when the overall effect is so luxurious. What a great dress! Gorgeous color for your sister and great fit. I hope you get to sew for you now!